King's Best, whose first Japan-bred foals were incredibly well received at the sales this year – averaging over ten times his 2013 stud fee – remains at a fee of 2.5 million yen. He has proved extremely popular in Japan, attracting high-quality books of mares in each of the three seasons he has stood here while his European-bred runners continue to impress on the track. Admire Moon (pictured) has added some impressive Black type performers to his record this year, including recent Shimotsuki Stakes winner Giovanni, plus record-breaking two-year-old Moon Express. He has also enjoyed a successful sales season, with his yearlings averaging 12 million yen. His 2015 fee will be 2.5 million yen. Pyro’s offspring are renowned for their powerful, well-balanced appearance, and with 71% winners to runners from his first crop they are also known for their ability on the racecourse. His fee is unchanged at 1.5 million yen. 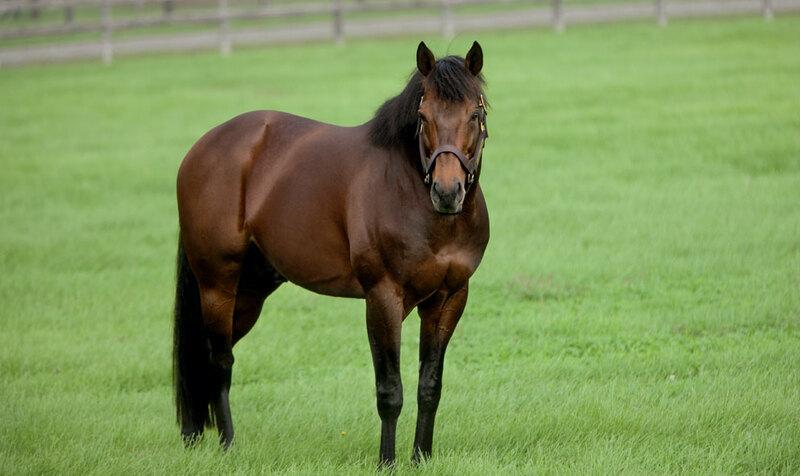 Dubawi’s Dubai World-Cup winning son Monterosso will have his first foals on the ground next year and will stand at a fee of 1.5 million yen, while the ever-popular Furioso, who has covered more than 130 mares in each of his first two seasons, stands at 0.5 million yen. For further information please contact Shotaro Kajiya on +81(0)1456-3-1166.